Empower a women with a wig. Help cover the cost of a screening mammogram. Make a diagnostic mammogram available to someone with symptoms. Help assure a women's self confidence by providing a breast prothesis. 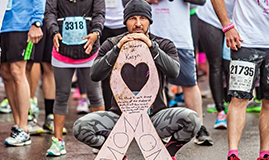 Thank you for making a donation on behalf of 2018 Komen Lexington Race for the Cure.